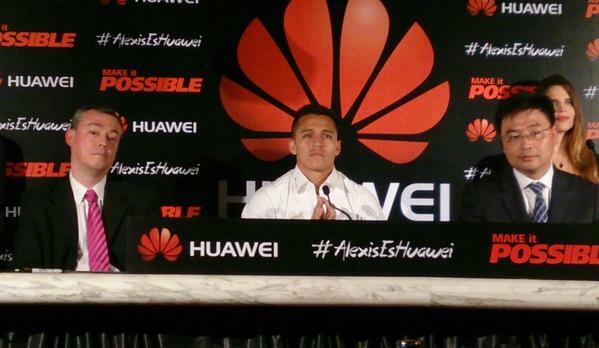 Arsenal FC’s Chilean star Alexis Sanchez has become a brand ambassador for Huawei in Chile. The deal means Alexis Sanchez will join Colombian and Real Madrid forward James Rodriguez in representing the Chinese telecommunications specialist in South America. James Rodriguez signed an endorsement deal with Huawei in May. Alexis Sanchez follows his club in partnering with the Chinese company, with Arsenal having named the Chinese company as their global smartphone partner in 2014. Huawei is also a partner of the likes of German side FC Schalke 04, Italian giants AC Milan, Spanish Atlético de Madrid and French champions Paris Saint-Germain.